Watch this video above for a peek into what to expect during The Gathering 2013. 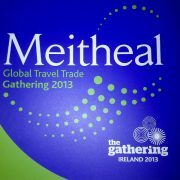 The Gathering Ireland 2013 has been well and truly launched this month. 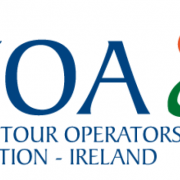 There has been lots of promotional activity on the Gathering Year 2013 by ITOA members through their international travel partners since its initial launch earlier this year. But September has seen a significant gear change in promoting next year’s celebration both at home and internationally. 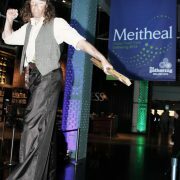 “The initiative is certainly now capturing the imagination of the domestic audience with the promotional activity around at the Emerald Isle Classic Notre Dame Navy Game and the All Ireland Croke Park Hurling Final along with an extensive advertising campaign nationally and community meetings taking place the length and breadth of the country where ideas are being activated to organise gatherings and welcome home events in 2013” says Ruth Andrews, Chief Executive ITOA. In tandem, Tourism Ireland are promoting the year long event throughout the international markets, organizing events to engage key Diaspora to ‘be a part of it’ by coming home of organising their own events in Ireland next year. Extensive targeted communications are also a key feature of the promotional activity in many of the main overseas markets and providing trade support to incorporate The Gathering message in their 2013 programmes and itineraries. Watch that space and as the Gathering Ireland message says – don’t miss your chance to be a part of it.